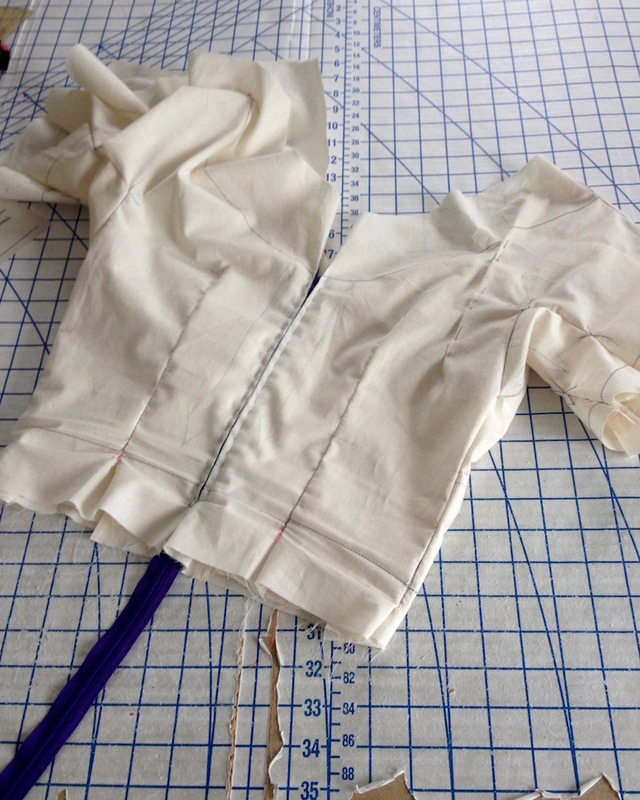 And now for the bodice portion of this project . . . 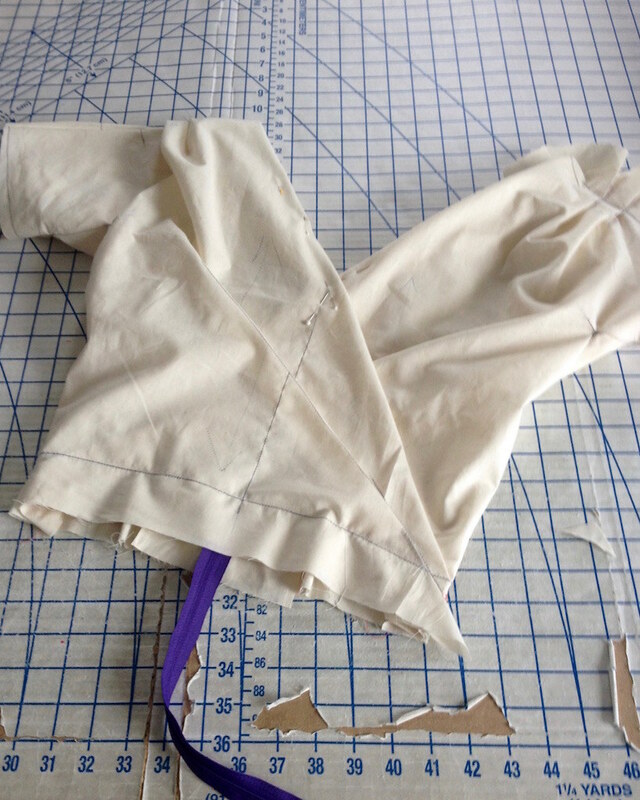 This was actually much easier than the skirt! 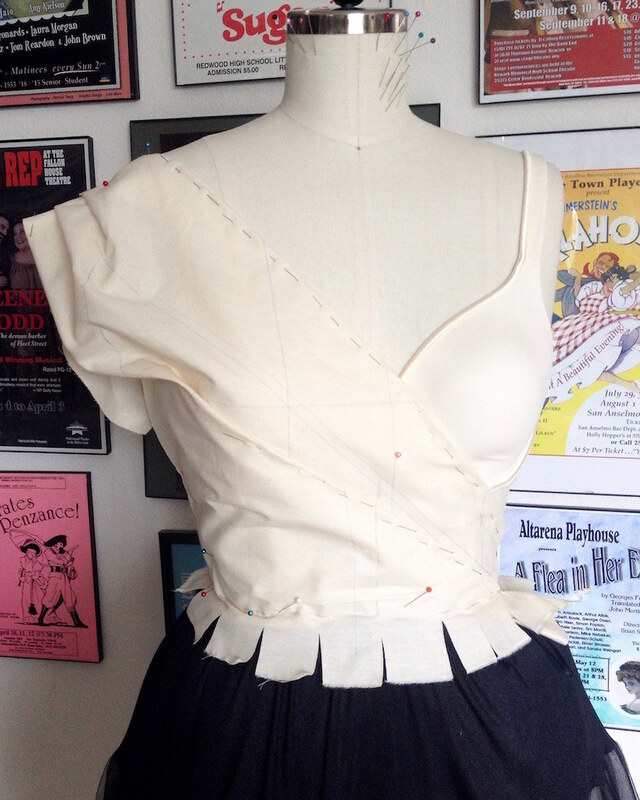 Most of the shaping was accomplished with pleats. 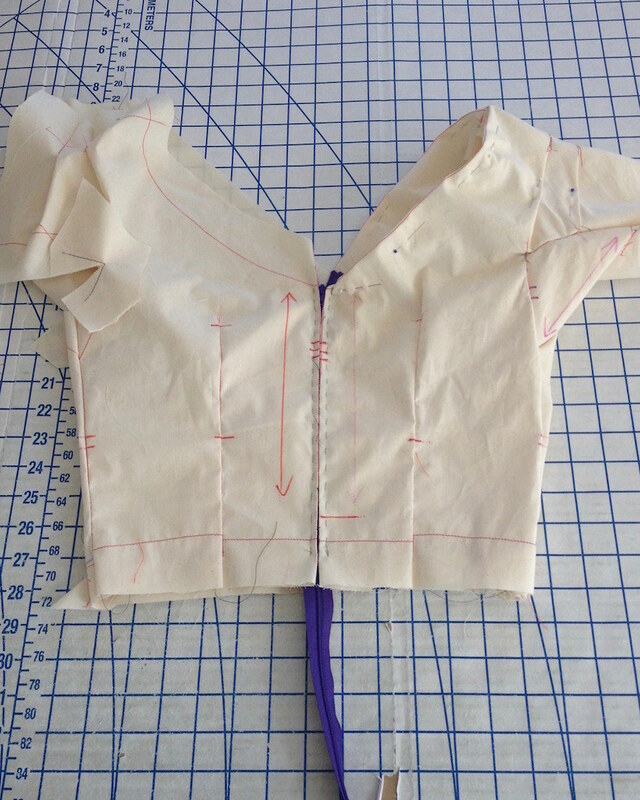 I cannot be sure exactly how the inspiration for this dress was drafted, but I rather like what I came up with. 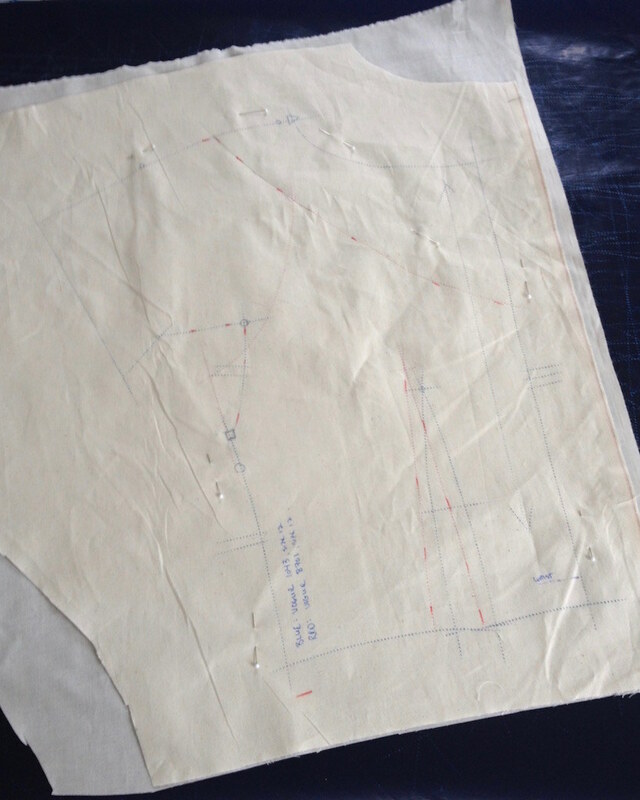 So the muslin came off the dress form and was marked up. Then I pulled out Vogue 1043 to see how the gussets on that design work. 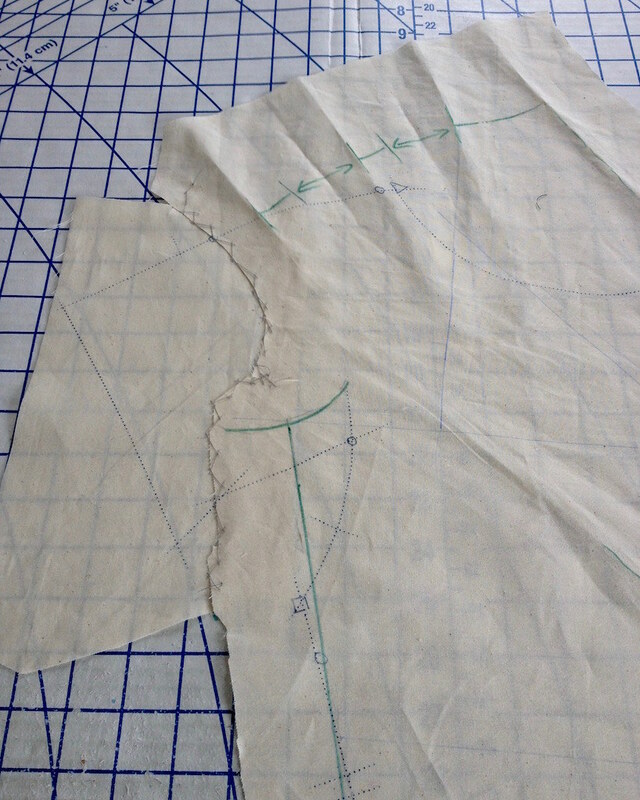 Using tracing paper, I transferred those lines onto my bodice piece. 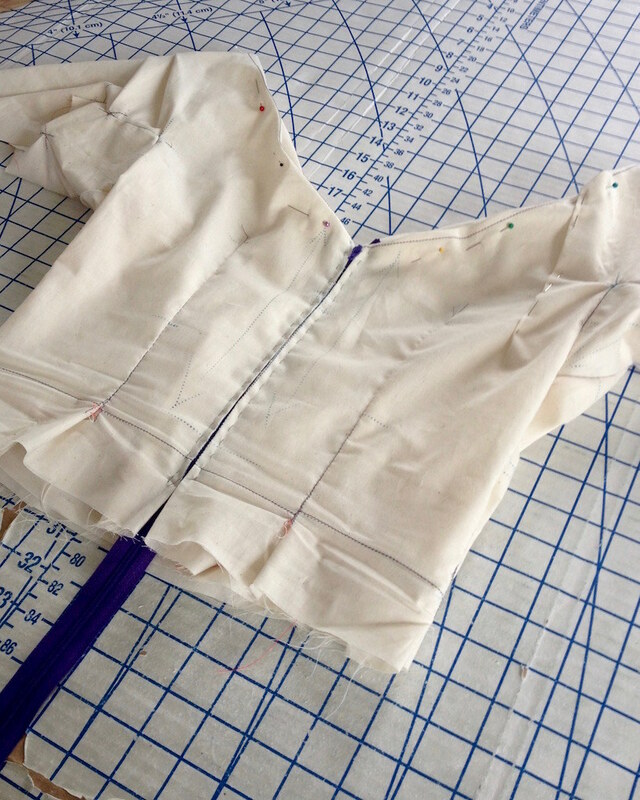 For the back bodice, I traced Vogue 1043 and Vogue 8701 on the same piece of muslin, doing my best to match up important points like waistlines and side seams, etc. And then I put the whole thing together. 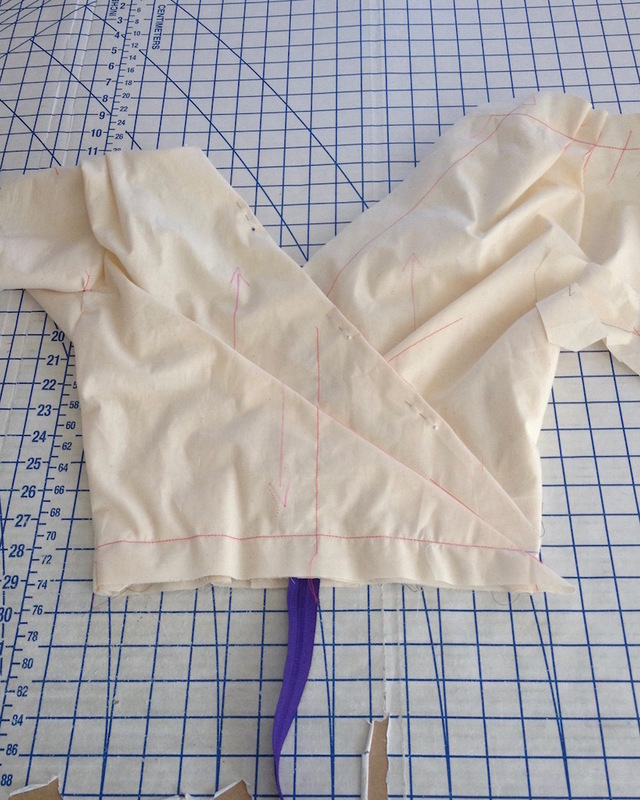 This actually works quite well, so I am going to rip out the zipper, attach the skirt to the bodice, and hope for the best! 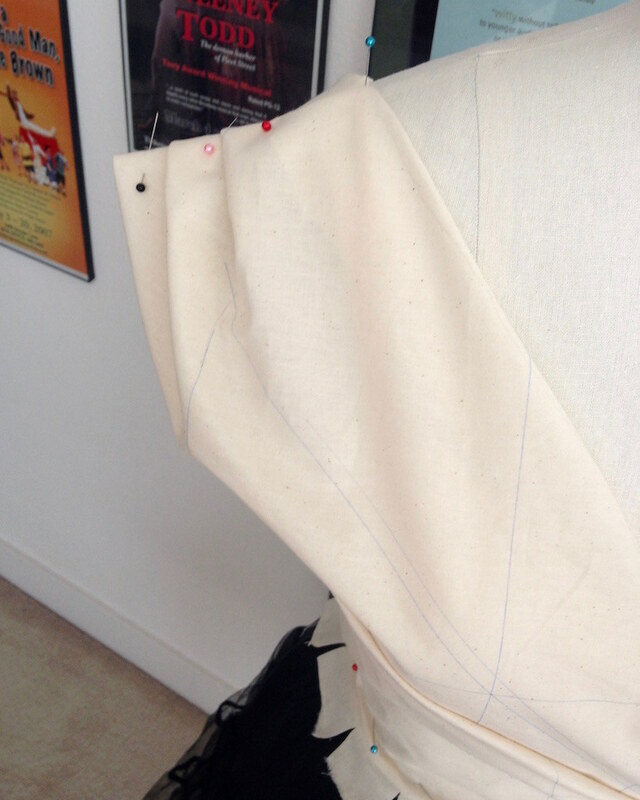 in awe of your draping skills - this is going to look amazing! Looks like it's going to be fantastic! Well worth all of that effort with the muslins. Looks like this will be gorgeous. "She sure is doing a whole lot of muslin puzzlin'." 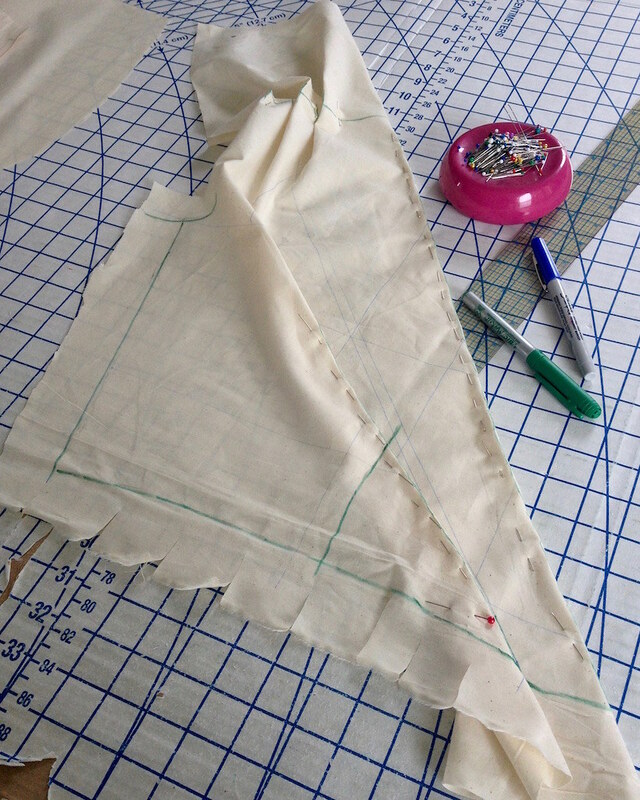 "Combine that with her draping and pattern filching handiwork, and one has to wonder what her end game is." 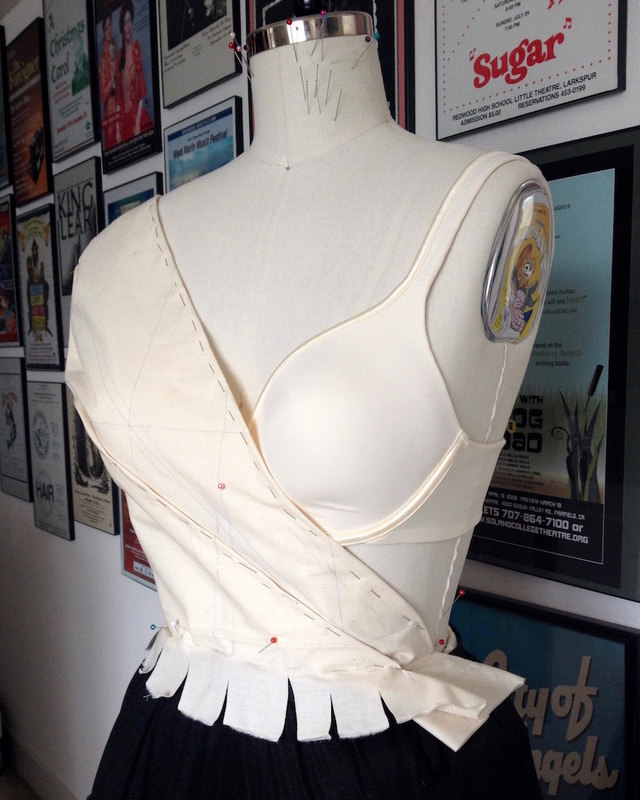 [pfffft] "It's patently obvious, she seeks to become a bodice goddess." "This one is pulling out all the stops, and putting all the pieces together quite smartly!" "Take it as a sign that we most certainly are in dangerous times." 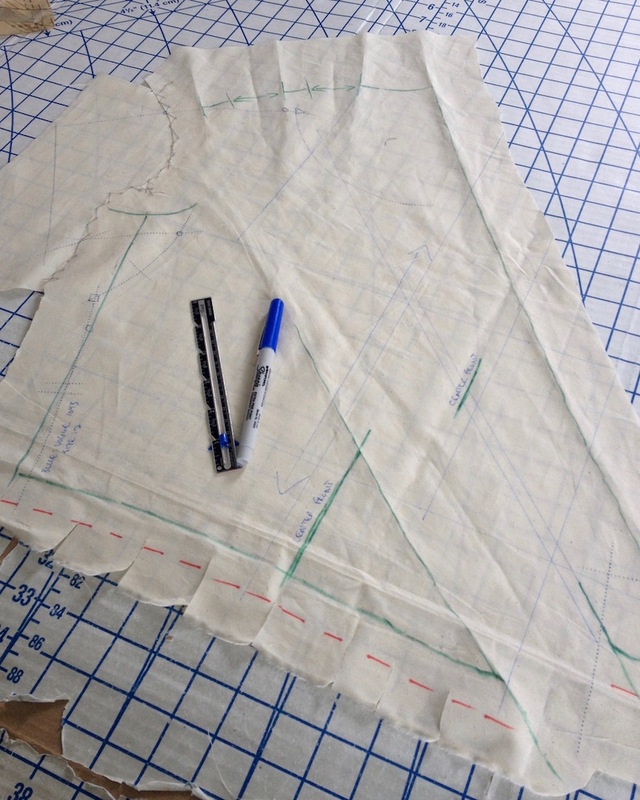 Draping tastic. It's looking very good.